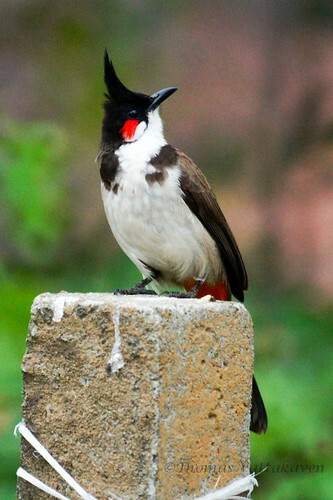 The Red-whiskered Bulbul (Pycnonotus jocosus) is a common bird around Karimannoor. 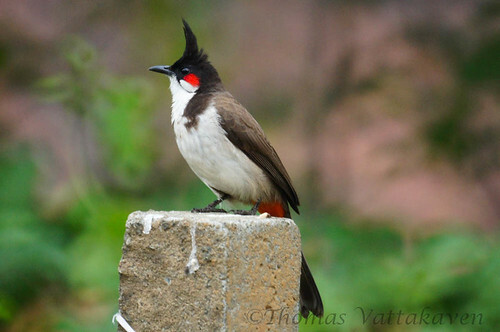 It gets its name from the red patch below its eyes. 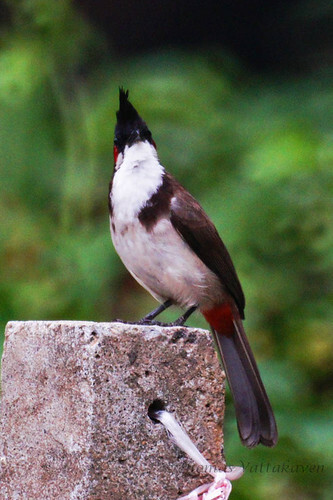 The bird is native to South Asia but it has been introduced into parts of North America, such as Florida and Hawaii through unauthorised cage releases. 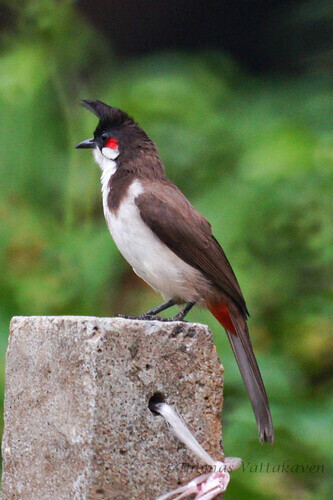 The Bulbuls are mostly frugivorous, feeding on fruits, but they also take nectar and insect prey. 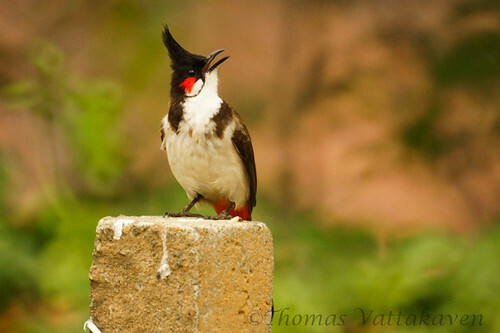 Although they have been reported to feed in flocks, I`ve not seen more than a couple of them at any one time in Karimannoor. Graceful Birds. 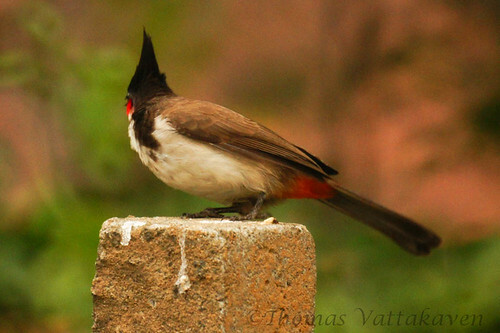 This is one species that I haven't really seen in my area in Indai but I did see many in Idukki. Like you rightly said the lack of accessories is certainly annoying. The reflex lens is good but got 2 major problems. Cannot use tele-converter lens and f/8 makes it a slow lens for wildlife photography. Also Sigma and Tamaron with Sony mounts are not available in India too. I have tried all major dealers in Metros. Sony has told me , that they cannot assure when will the 400mm lens be releases, nor if it ever will be.